Until recently, Alexander Hamilton and his achievements were just another chapter in American history books. That all changed when Lin Manuel-Miranda’s catchy rap lyrics and toe-tapping melodies brought fame back to the Hamilton name. These days, it seems the nation can’t get enough of this “founding father without a father.” If you’re a Ham Fan and heading to New York City, here’s a list of locales rich with Hamilton lore that you won’t want to miss. Now, you can be “in the room where it happened” too! 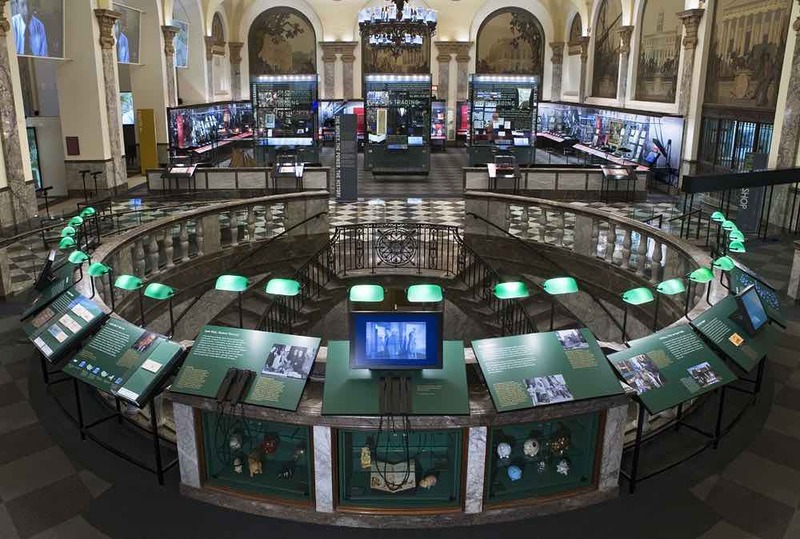 Originally home to the Bank of New York, which was founded by Hamilton in 1784, the Museum of American Finance has a fitting location just down the block from the New York Stock Exchange. This place covers all that you ever wanted to know about our complex financial system and pays homage to Hamilton’s impressive accomplishments in the world of economics. There’s even a whole room of the museum dedicated to him. Cost: Youth (6 & under) Free; Youth $5; Adults $8. The Fraunces Tavern Museum is tucked away on two floors above historic Fraunces Tavern in the heart of the Financial District. The quaint museum squeezes a lot of information into a tiny space. 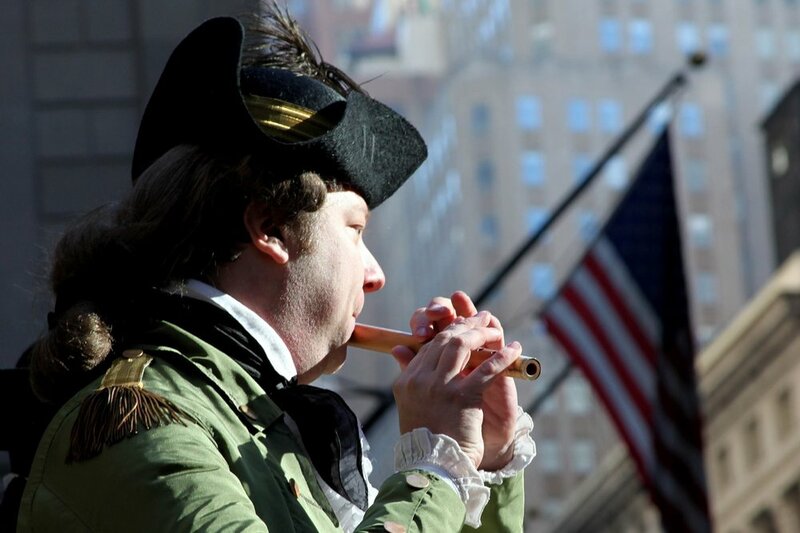 It offers a glimpse into New York City’s colonial past and the Revolutionary War. While it’s a well-known fact that George Washington gave his farewell address to the army here, this location has a more obscure claim to fame as well. Hamilton and Burr were rumored to have met here one week before their fateful duel. Cost: Youth (5 & under) Free; Youth (6-18) $4; Adult $7. Federal Hall was New York City’s original City Hall and would later become the first capital of the United States. The building also housed many heated cabinet debates between a certain immigrant Secretary of the Treasury and a Virginian Secretary of State. Travel up the steep steps and venture inside for a look at where the first murder trial of Levi Weeks was held. In the musical, Burr and Hamilton sing about defending Weeks in the song Non-Stop. Cost: Free. 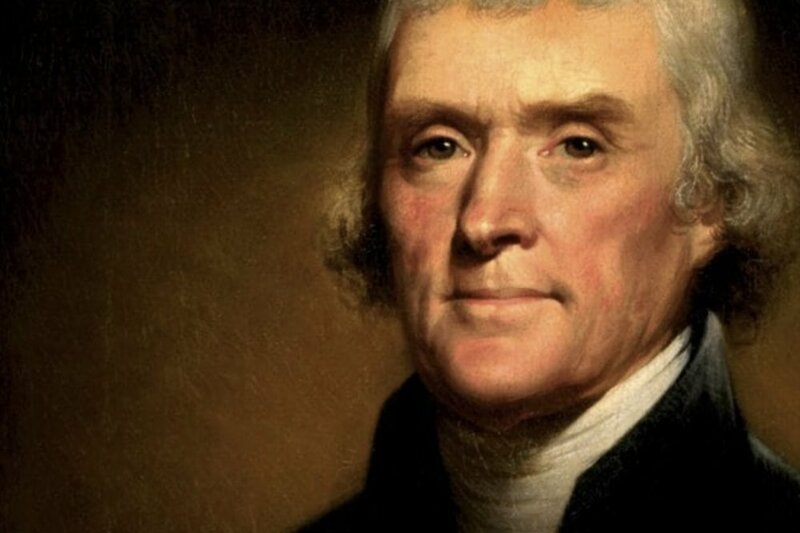 Though the building no longer exists, there’s a plaque commemorating Thomas Jefferson’s time living here and the dinner that he arranged between Hamilton and Madison. Those obsessed with the musical know this house is where the songs What Did I Miss and The Room Where It Happens would have taken place. Even if it’s just a small piece of Ham history, I think “Familtons” will deem it worth a peek! Cost: Free. 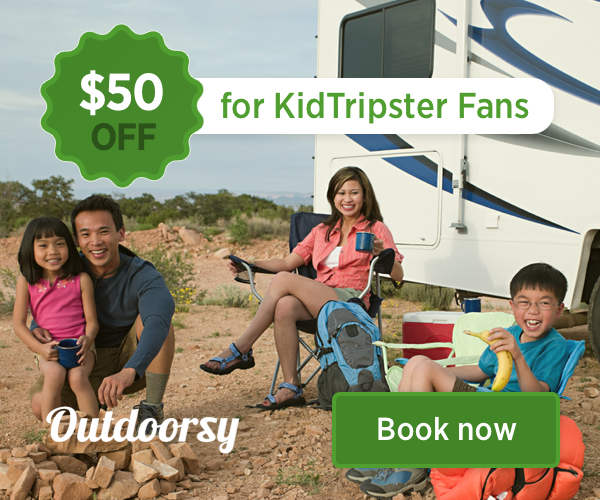 KidTripster Tip: If you want to be efficient when visiting these places, download a walking itinerary app like Plan A Route which can map out the most direct route for the sights that you want to see. 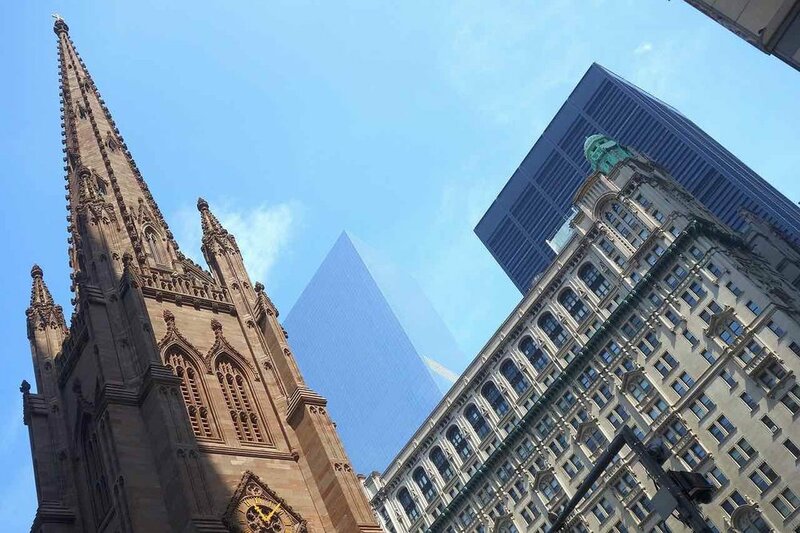 This pair of historic downtown churches are among the most famous in Manhattan, and they’re rich with Hamilton history. Both Alexander Hamilton and George Washington worshipped at St. Paul’s Chapel during the time that New York was the nation’s capital, as did many other Revolutionary War notables. Trinity Church’s Hamilton connection is a little more somber. On July 14th, 1804, Alexander Hamilton’s funeral procession ended at Trinity Church where he was buried. His grave is still there with a giant tombstone that marks his resting place. Cost: Free. Although not in its original location (it’s been moved several times), Hamilton Grange was home to Alexander Hamilton, his wife Eliza Schuyler, and seven of their children. When Alexander relocated his family away from the hustle and bustle of downtown, they came here because “it’s quiet uptown.” It was the first house that Alexander Hamilton ever owned. Today, the estate is run by the National Parks Service and is open for tours to the public on Wednesday through Sunday from 9 a.m. to 5 p.m. Cost: Free. 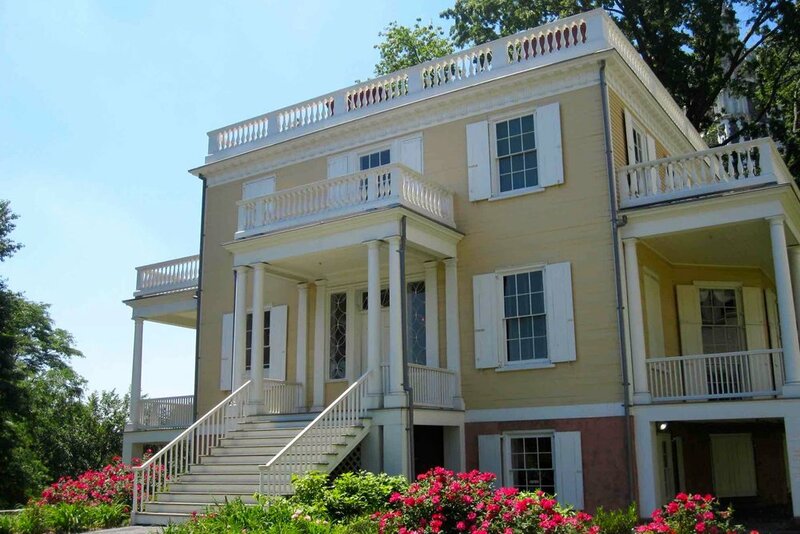 This grand manor was built in 1765 and is considered to be the oldest home in Manhattan. George Washington temporarily lived here and led the Continental Army from this building. Aaron Burr also resided here for a brief period in his later years. Apparently, Lin-Manuel Miranda found Morris-Jumel Mansion to be an inspirational spot because he spent lots of time here while he was writing the score for the musical. The mansion is open to the public on Tuesday through Sunday and free, docent-led tours are offered on certain days. Cost: Youth (2 & under) Free; Adults $10. KidTripster Tip: If you want to visit many of these spots collectively and get a more in-depth understanding, Hamilton’s New York Tours offers two options (one in Harlem and the other in the Financial District) that will tell you everything that you could ever want to know about A-dot-Ham! Yes, “Ham the Man” has been gone for quite some time, but you can still snag a selfie with one of his big bronze statues around town. There’s one in Central Park near the Met to the east of the Great Lawn. Another one sits in front of Hamilton Hall at Columbia University (formerly King’s College) to honor its uber famous alum. Cost: Free. KidTripster Tip: Since the park is across the Hudson River from Manhattan, getting there can be a bit of a challenge without a car. NY Waterway has a ferry shuttle from Midtown to Port Imperial in Weehawken. The fare is a bit pricey, but it’s a fun ride and will get you fairly close to the park. Another option is to take a bus from the Port Authority Bus Terminal. I wish that I could tell you the secret for getting last-minute tickets to this box-office, mega hit, but sadly, those tickets simply don’t exist. If you want to see the winner of 11 Tony awards, including Best Musical, you’ll have to plan several months ahead. And even then, be prepared to pay prices that would have made the first Treasury Secretary’s head spin. Hamilton traces the life of American Founding Father Alexander Hamilton through song and rap, inspiring you and your kids to rediscover American history. The show is nothing short of sensational. Recommended age: 12 and up; know that there's strong language and suggestive content.